Muscular, soft-tissue or skeletal injury to client from accidental fall. Muscular, soft-tissue or skeletal injury to workers from incorrect movement, posture, repetitive bending, leaning or reaching, or a slip on wet surface. b. Be aware of movements during task, do not exceed your ability. c. Wear rubber safety boots provided for the task. Avoid slips or trips. d. One worker can complete this task unless stated otherwise in Support Plan. Check the mobile shower chair is in good condition. Ensure wheels move smoothly and frame is sturdy. If any faults, report immediately and do not use. Check the safety belt (if on model) for signs of wear or damage. If any faults, report immediately and do not use. 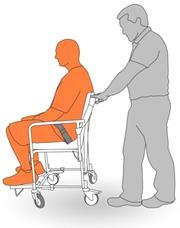 Ensure familiarity with use of mobile shower chair. If unsure, review Standard Operating Procedure (SOP) for this chair. Report immediately if SOP not available. Collect rubber safety boots provided onsite and put these on. Assist client into mobile shower chair. Ensure brakes are engaged on mobile shower chair. 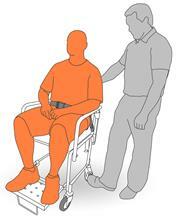 If client is ambulant, stand beside chair and provide support if required. In each instance, please follow steps on the relevant Safe Work Instruction. Move client with mobile shower chair. Slowly push client in mobile shower chair into bathroom. Do not twist or attempt to steer sidewards and report if there are steering issues. 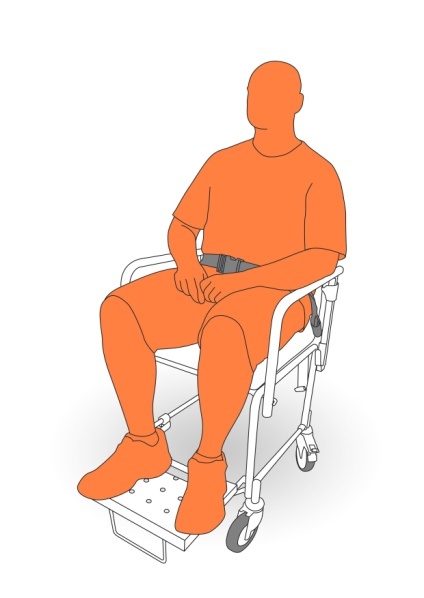 Some shower chairs may have a directional castor which allows directed steering. If a sling has been used in transfer process, remove this when in bathroom. Position mobile shower chair in shower recess. Prepare client for shower. Assist client with removing garments if required. 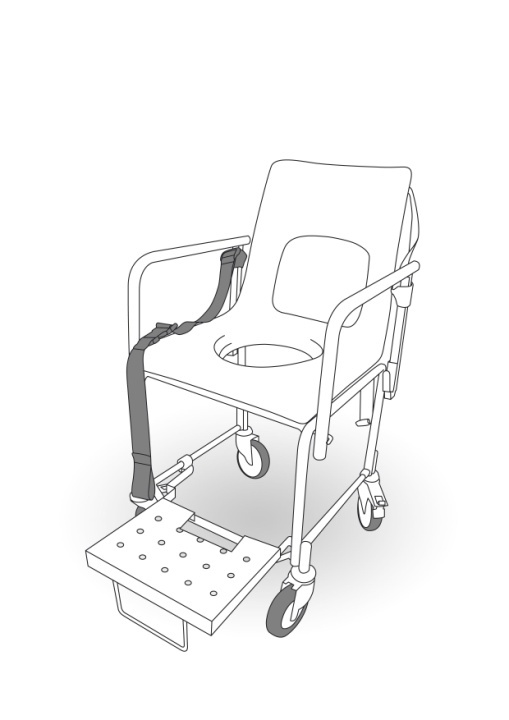 Move mobile shower chair into shower recess, avoiding sudden movements. When chair is in shower recess, apply brakes. Does client require assistance with washing? If yes, perform task with minimal bending and stretching. Do not strain, over-stretch or hold an awkward posture. If insufficient space to access both sides you must reposition mobile shower chair to give access. Remove client from the mobile shower chair. Assist client out of mobile shower chair as per their Support Plan. Use relevant equipment and sling if required. Put mobile shower chair away.